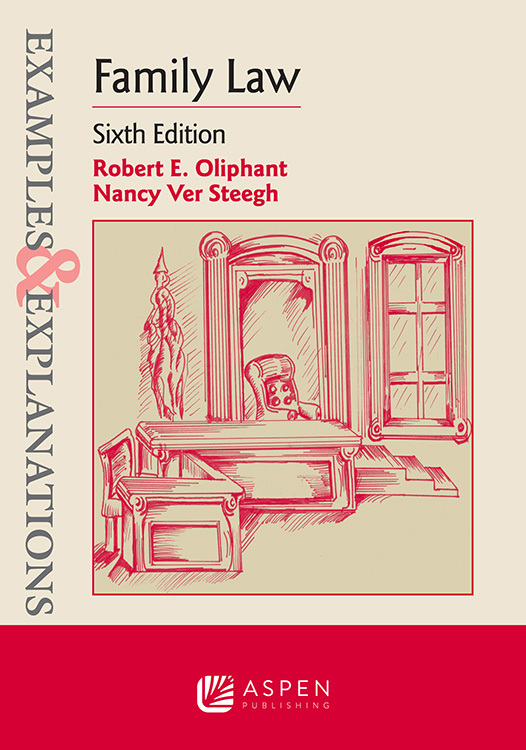 Examples & Explanations: Family Law, Sixth Edition, provides readers with an in-depth understanding of complex family law principles and how they are applied in practice. Following the Examples & Explanations pedagogy, this book features examples based on challenging real-life situations followed by practical solutions in the explanations section. Citations and links to additional source material make the text a valuable research tool. Family law evolves quickly, and this sixth edition captures recent developments while anticipating future policy challenges. It explains recent Supreme Court activity in family law and familiarizes students with emerging national legislative trends. This edition features a substantially updated chapter on determining parentage, exploration of new alternative dispute resolution (ADR) processes, and discussion of professional responsibility issues that arise when lawyers perform nontraditional roles.